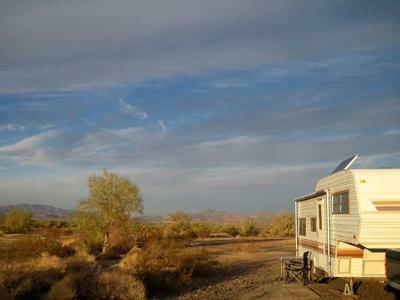 There are five of these free 14-day camping areas near Quartzsite and this, Scaddan Wash, is one of them. 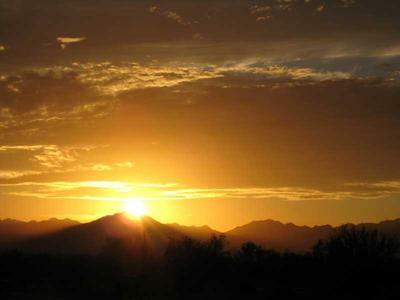 This is a vast desert plain surrounded by mountains. There are plenty of great spots to camp on the "desert pavement". There are no designated campsites and you can camp anywhere within the Scaddan Wash 14-Day Camping Area. Directions: From Quartzsite take South Riggles Avenue (I-10 exit 19) south to E Kuehn Street then turn left at this T-intersection. Follow the road back around to the interstate and you will see the entrance to the wash on your right. Except for the noise from I-10, this is a peaceful area to camp. 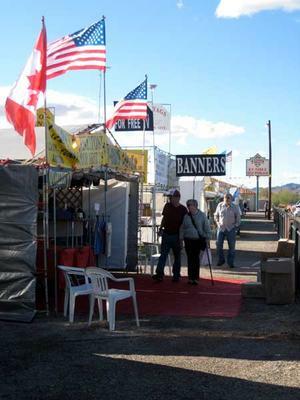 I haven’t seen very many people out where I’m camped – just the occasional ATV or SUV. I had to cross a few washes to get to this spot, so it’s probably not easy for the larger motorhomes and travel trailers that I’ve seen out here. The Scaddan Wash Camping Area is a bit too close to the noisy interstate for my liking. I’m looking forward to moving to one of the Long Term Visitors Areas (LTVAs) tomorrow. The LTVAs are a couple miles south of the interstate and hopefully not as noisy. Hiking is pretty easy here as the area is very flat with only the washes creating small dips to cross; there are no canyons. The mountains to the east are only 3 miles away and easy to hike to. There aren’t too many campers yet, just a few here and there. 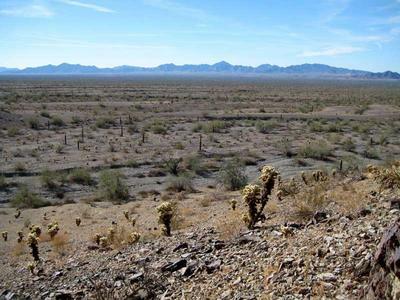 This is a large desert and it would be hard to see things get crowded...but I suppose I’ll see in January as that’s when the masses typically arrive and the big shows in Quartzsite begin. I had some cooler weather last week and a light overcast sky on several days which took a lot of heat from the sun. Now it’s sunny with highs in the 70s, lows in the 40s. Verizon mobile broadband internet works great here; no external antenna needed. I have a very strong cell phone signal too.